We are talking about Digital India these days and the vast possibilities which it brings along. I have always emphasized on the fact that the world is highly digitized right now. Everybody is online and connected. This is the greatest factor which makes information sharing faster than what it was a decade back. It is also important to have a medium that acts both as a platform and a superfast connection for people to access the digital information. Well, to be honest, Gujarat is speeding up to catch up with the mobile generation. From the youth to the retired, from the first time mothers to first time female travelers, everyone is gearing up and is accessing information digitally. One such medium is the mobile network. Since, almost half of the internet users access internet from their smartphones, it is but a mandate to provide services which suit the fast moving generation. Thus, having a ‘Smartphone Network’ will provide the necessary feed to the information hungry people of our generation. 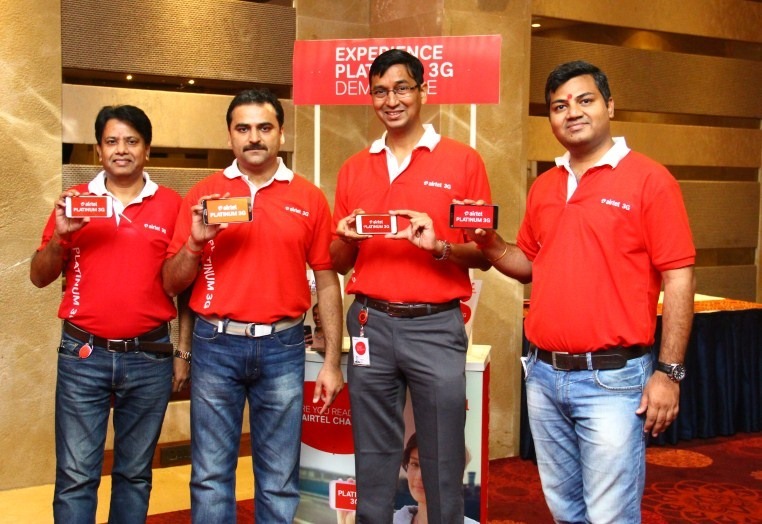 Airtel launched its latest product- Airtel Platinum 3G here in Ahmedabad on 15th October, 2015. Since I got the opportunity to attend the event, I am writing my first-hand experience about all the benefits they have on offer. The newest launched product, the Platinum 3G will upgrade indoor coverage, improve voice clarity, provide faster internet speeds and has a superior network experience to offer. Not just that, the new Platinum 3G is said to optimize the mobile devices and network engagements in the backend making it a better experience for the customers and also allowing longer battery lives. Murthy Chaganti, CEO, Gujarat Circle said that Airtel is constantly working towards making a seamless network experience for the customer a reality by consistent innovation and thoughtful investments. He believes that the launch of Platinum 3G is a part of this commitment which in turn will help grow the connectivity of the customers. With a world class technology intended to deliver a wholesome ‘Smartphone Network’ experience, the launch of Platinum 3G is a step to provide the data savvy customers of Ahmedabad an upper hand while at the same 3G tariffs. While urging the attendees of the event to definitely try the delicious soup, he said that all the existing 3G customers will automatically be upgraded to Platinum 3G. 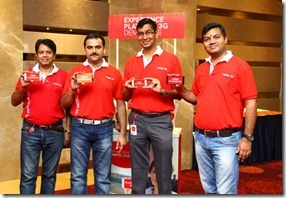 The coming week, the Airtel team will be spreading the happy news across cities and respective stores. There was a lot to learn and see at the event. The event also had a kiosk wherein we could get a live experience of platinum 3G. Now, do you know what the ideal speed of a 3G connection is? P.S. :- The soup was indeed delicious!